The end of summer is fast approaching. If you operate a dry dock, RV park, or property management company, autumn is winterizing season. To avoid damage, clean boats, campers, RVs, grills, and outdoor furniture before storing them. Proper cleaning helps protect against dirt, grease, grime, soil, and moisture over the winter. When left to fester, these contaminants can cause corrosion, musty smells, and sometimes even algae or mold growth. Seacole products can help you save time and money this fall by cleaning in a variety of applications. 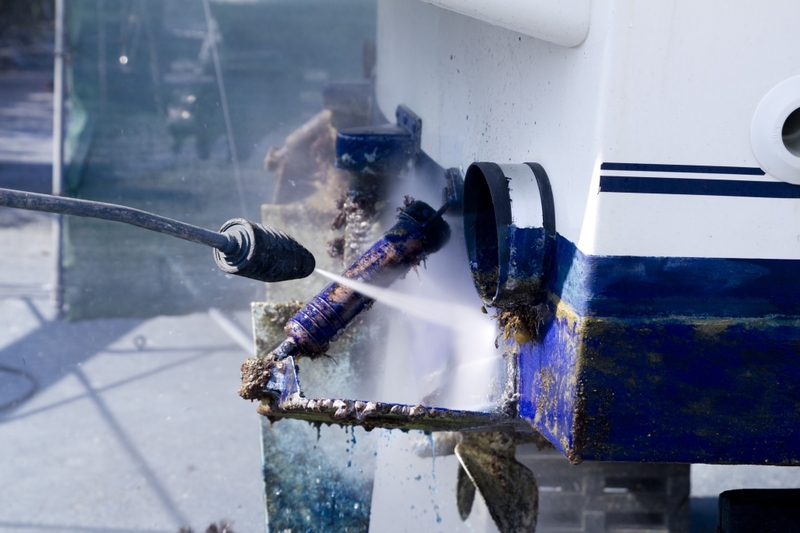 Whether you spray, wash, or soak in either hot or cold water, Seacole cleaners won’t leave residue on boats, campers, or outdoor furniture. Before storing RVs and campers at your RV park, resort, or storage facility, make sure every vehicle is clean, deodorized, and free of grimy residue that will be difficult to remove after winter. Here are eight Seacole products to help you winterize RVs and campers more efficiently. Before shutting down a commercial kitchen for the season, clean and degrease them with these five Seacole products. See this blog post on cleaning commercial kitchens. Make winterizing go more smoothly this year with a little help from Seacole. To order products for your fall cleaning jobs, contact Seacole today.